Our service programs, prayer cards and bookmarks can all include a favorite photo, poem or prose tribute to your loved one. With the variety available to us, we can add a uniquely caring element to your service, so your guests can leave with a treasured keepsake. It’s tradition…with a twist. 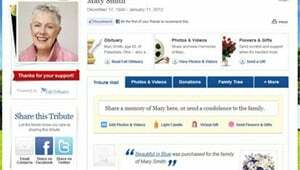 The traditional newspaper obituary is quickly being replaced by the memorial website. 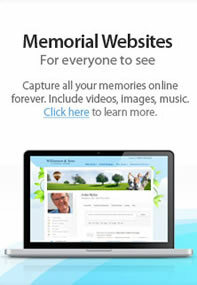 Our memorial sites are not just a repository of family photos and videos; they’re Web 2.0 tools for connecting with family and friends, all in honor of your loved one. We invite you to take a tour, so you can see its power to celebrate connections, honor a life, and record the love you shared. You knew your loved one better than anyone else and we've got years of experience. 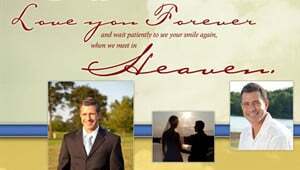 Together, we’ll design the perfect memorial or funeral service for your loved one. When you're ready to discuss the options, or simply have questions, please call us at our New Brunswick office (732) 545-7312, our Trenton office (609) 394-1702, or send us an email inquiry.